With me purchasing of a new home this summer meant cutting out my second international trip for fall 2017. Instead, I thought why not save some money and invest time in the beautiful state I can now say is home, Michigan. 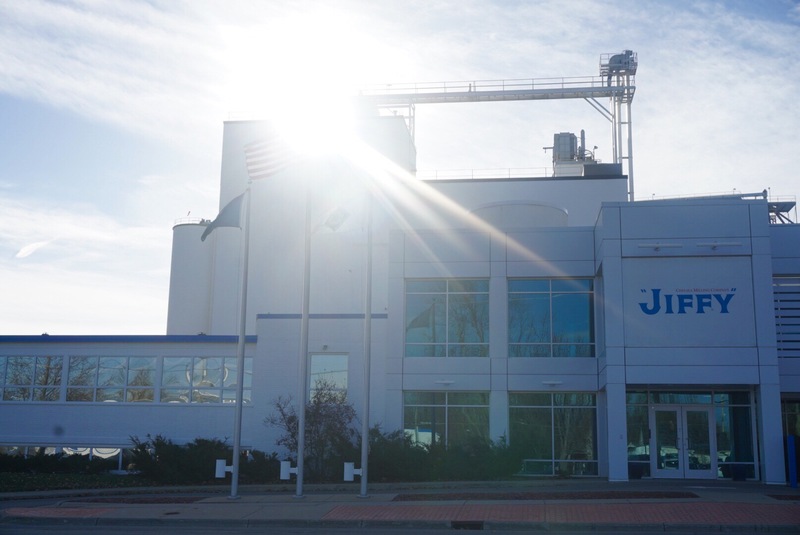 Not to far from Ann Arbor, MI is Chelsea, Michigan, where the Jiffy Factory is located. What is Jiffy? Whether you noticed it, or not, Jiffy is everywhere spanning over every US state, and in 20+ countries worldwide. Jiffy provides 11 baking products with the most popular being cornbread mix, brownie mix, and blueberry muffin mix! And the best part, each box is less than $0.75… whhhhaaatt! Peak at Jiffy Products Here! I want to share with you a tour I went on this morning, which was a second go-around…the last time being when I was in elementary school in the 90s. The best thing about the factory tour is that it’s FREE! The tour totals an hour that includes a 20 minute introduction video (was an easy watch, content filled, but entertaining/funny), 10 minute safety video, and a 30 minute packaging tour around the factory. The packaging tour includes seeing how each of the boxes are folded, filled with white plastic, and filled with flour/mix. Concluding the tour are gifts from the factory to your kitchen, and a recipe book! If you’re looking to join a tour, you must make a reservation. My recommendation if you’re an adult, is to go during the first tour, 9am. This way, you don’t have to worry about lots of kids, or it being too loud, just saying. Jiffy can be found above and below eye-level in stores. To keep the prices low they don’t pay for the premium shelving space. If you’ve ever gone I’d love for you to share your experience by commenting on this blog. If you have any questions, thoughts, or comments they can be left below too! and. Craig thank for such wonderful information! 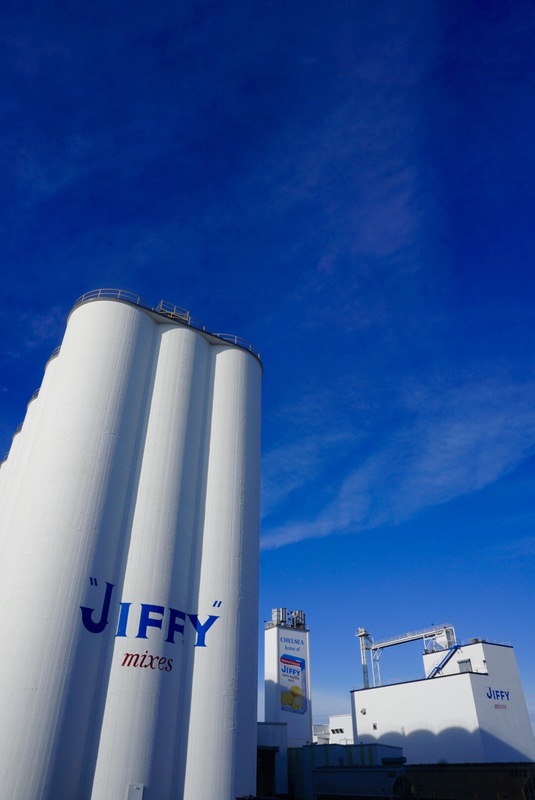 Never knew that the delicious Jiffy Co. was here in Michigan. I will be making that today list and Jiffy is added. U r an outstanding blogger I’m looking for much more to come from ur adventures. Ms. Craig thank u for such a interesting topic, Ivr been in Detroit 60 yrs and never knew Jiffy was made here. And yes they have wonderful products. I’ve used the corn bread to make hush puppies and the pie crust mix is to die for, it makes the most crusty and flaky pie crust for cobblers and etc. But this will be on my todo list, thanks again.